Construction sheds cover nearly 200 miles of New York City’s sidewalks, marring the streetscape while putting pedestrians ill at ease after dark. 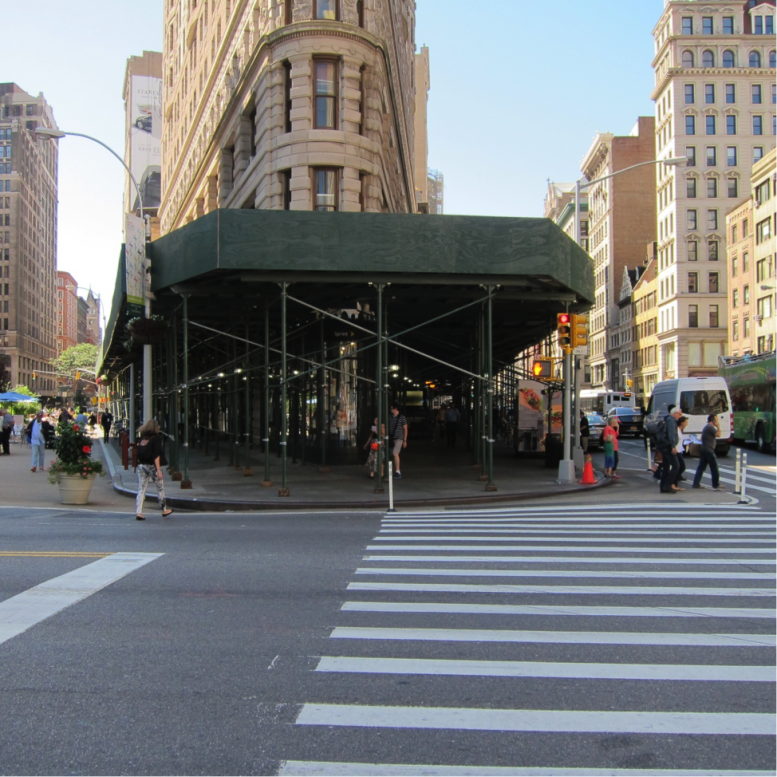 But the New York Building Congress hopes to encourage new, innovative construction shed concepts that will protect passersby and improve the city’s streets with a design competition. Proposals need to meet the Department of Buildings’ safety and engineering standards, employ relatively cheap materials, and be easy to install. Designs should also fit in all kinds of neighborhoods, from brownstone Brooklyn to Midtown West. And they should work for a variety of projects, like small- to mid-size residential developments, commercial construction in central business districts, and Local Law 11 masonry repairs on older, multi-story apartment buildings. The construction industry trade group promises to promote the designs and work to implement them among its members, who include developers, contractors, engineers, architects and landlords. Fourteen judges from across the construction industry will review the submissions. The design review committee includes Frank Sciame, CEO of Sciame Construction; George Leventis, president of Langan Engineering; Jill N. Lerner, principal at Kohn Pedersen Fox Architects; Alexander Lamis, partner at Robert A.M. Stern Architects; Richard Dattner, partner at Dattner Architects; Jonathan Drescher, senior VP of development at the Durst Organization; Rick Bell, executive director of Design and Construction Excellence at the city’s Department of Design and Construction; and Sean Szatkowski, VP of operations at Skanska USA Building. Submissions are due by August 19, and winners will be announced September 25. Up to four winners will share a $10,000 prize. Head over to the New York Building Foundation for all the details and submission criteria. The Bloomberg administration launched a similar sidewalk shed design contest called urbanShed back in 2009, but the winning “Urban Umbrella” concept didn’t catch on.